My Cousin from Ireland sent me pictures along with a video about St. Paddy's Day. She lives in the town my great-grandfather was born in before emigrating to New York during his adult life. St. Patrick's Day is a National Holiday in Ireland. It is a day the whole town goes to church, has a parade and of course has a pint or two. 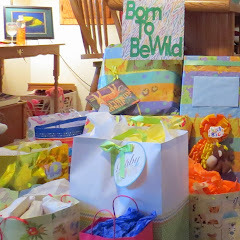 I am grateful she shared traditions held in our family half way across the world. Featured on the lapel of jacket and coats is a boutonniere of shamrock. 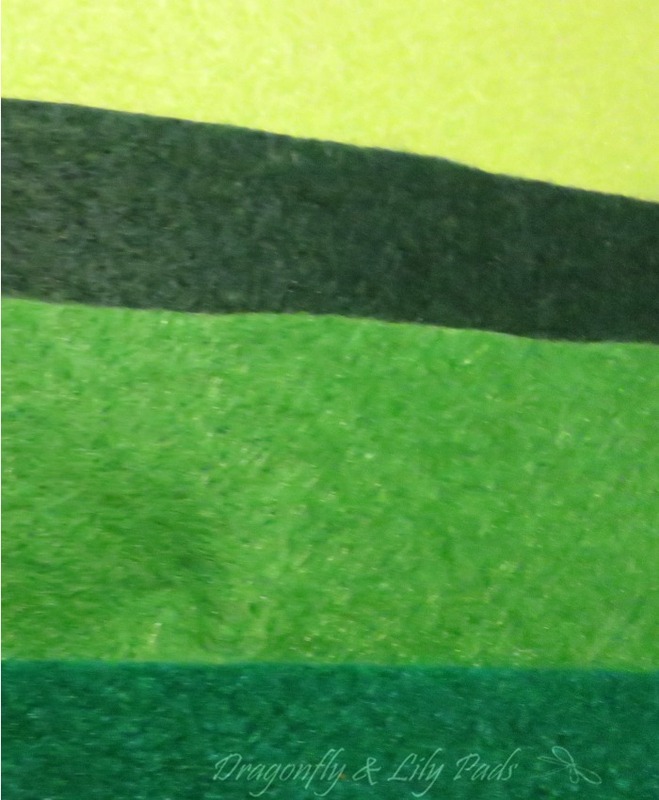 This Stock photo by Alamy is my inspiration for this project out of felt. 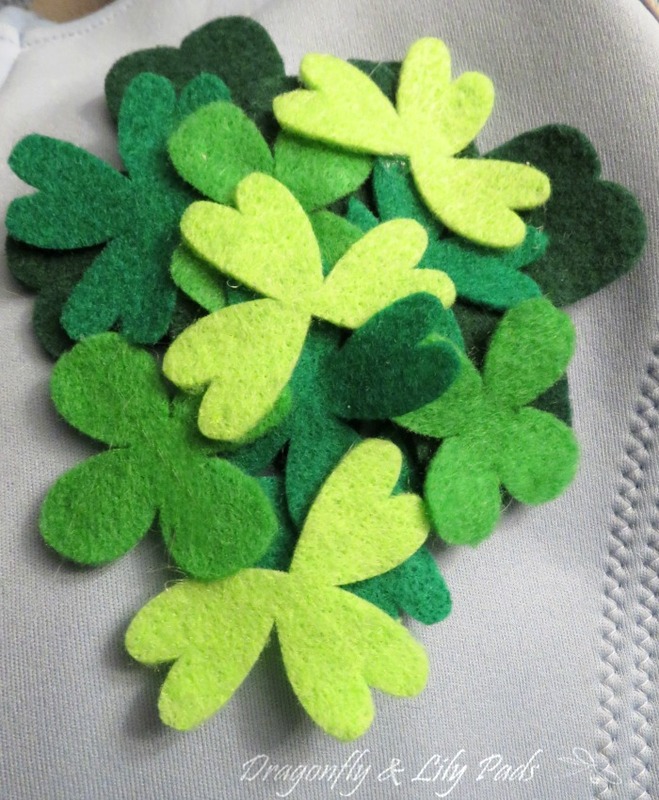 Choose a few shade of green to create your felt St. Paddy's Day pin. 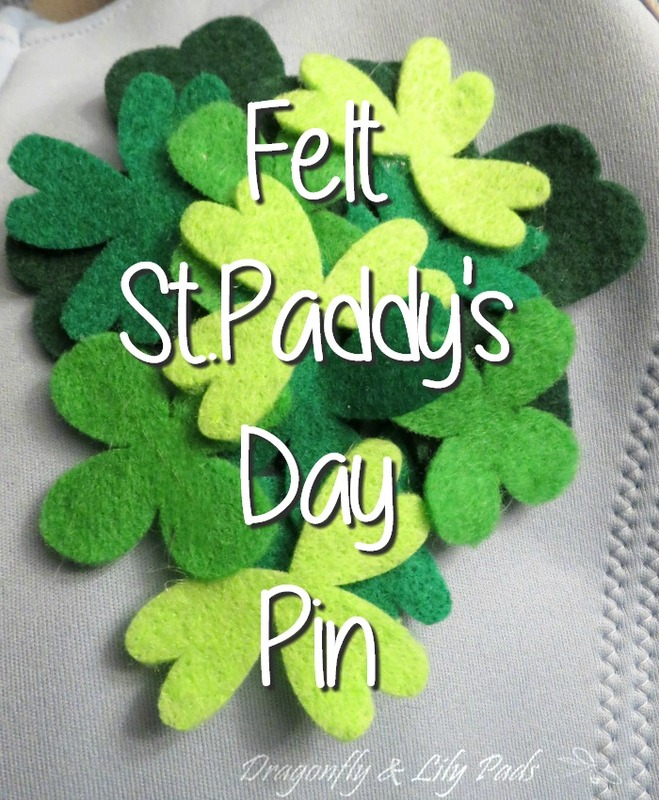 I have provided the link directly to the project so you can easily make this St. Paddy's Day pin too. 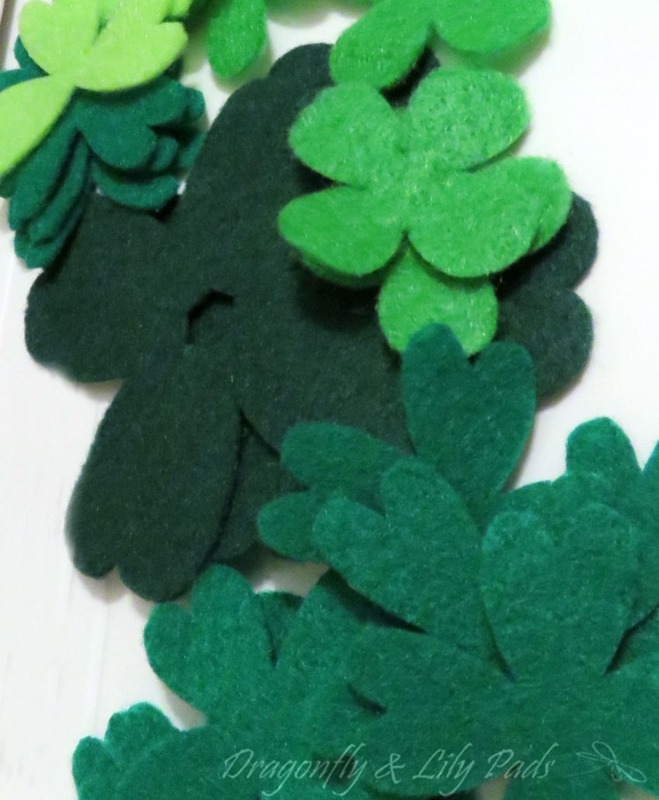 Look at the Shamrocks all cut out in just a few minutes. 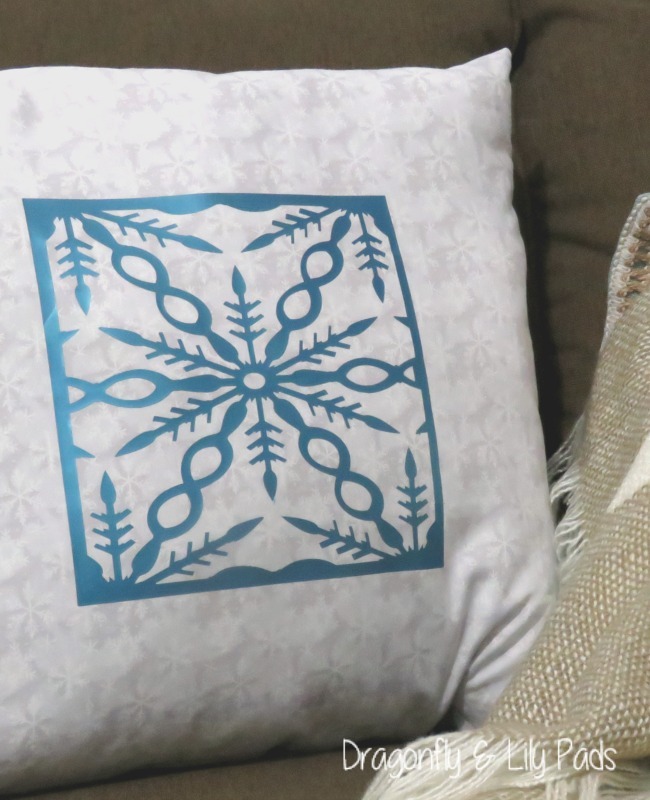 Head over to my YouTube tutorial to follow the to set up the Cricut Maker and complete any project. 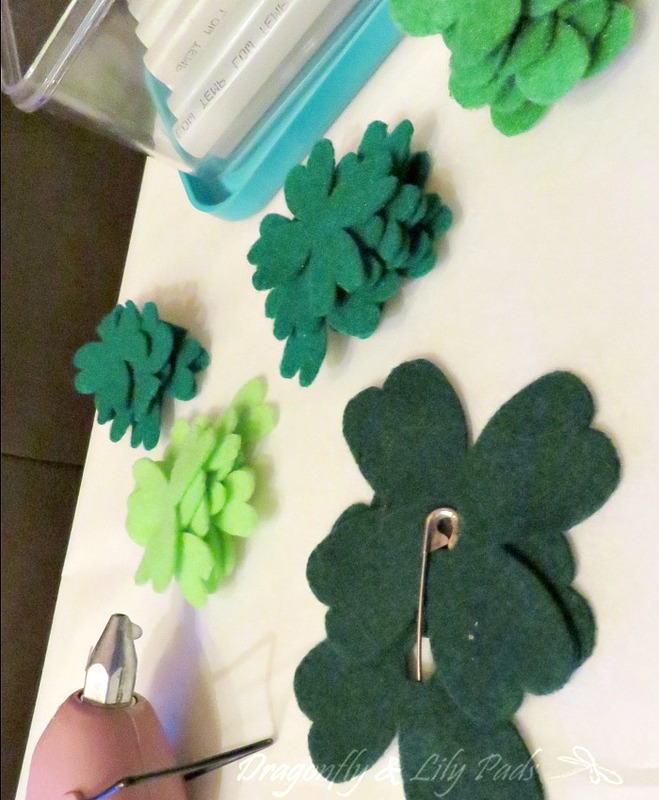 Slide the pin through the holes after using a hot glue gun to attach the two darkest shamrocks which will become your base. 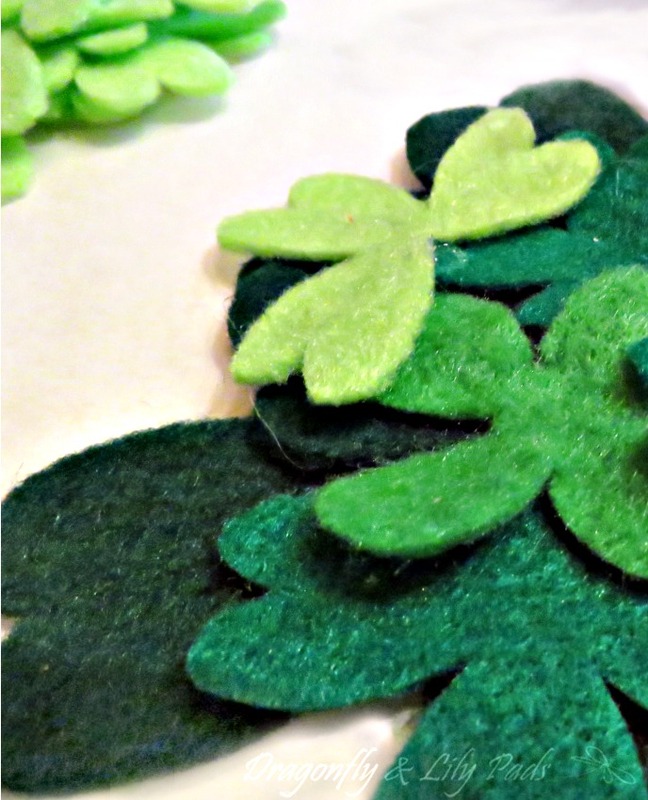 Then begin layering the different shape and color shamrocks until you like the design. 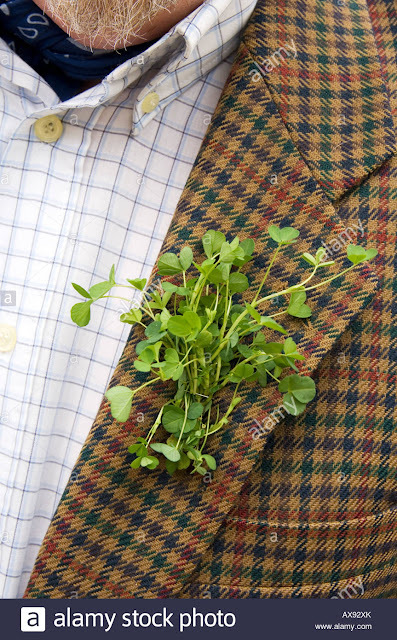 As you see above this jacket is already for St. Paddy's Day with the wearing of the green. A gift from my husband years ago this panda sits in our oldest son's rocking chair. 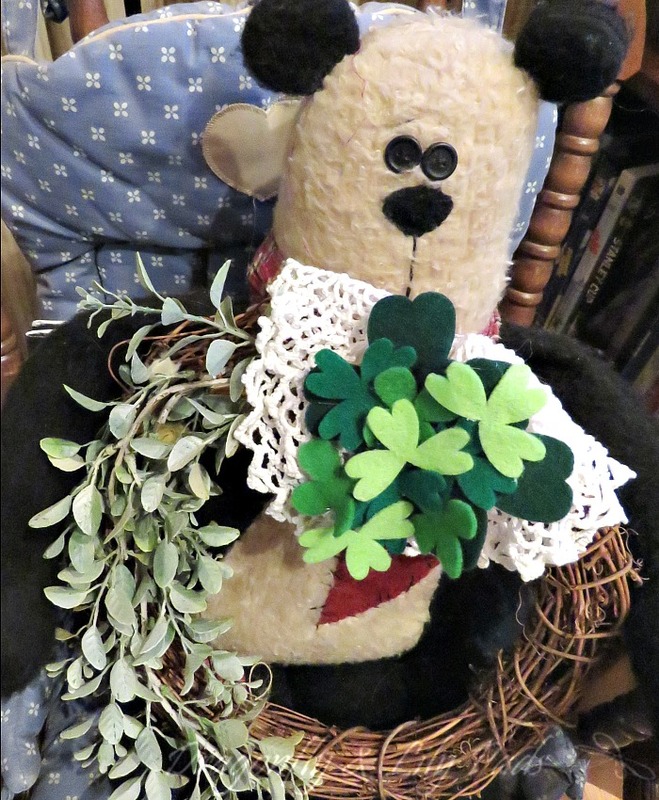 He is holding a wreath decorated for the Irish holiday. The pin looks great on this darling wreath in his lap. 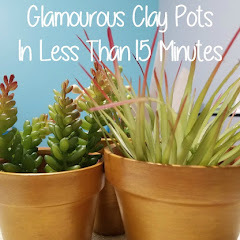 Do you remember my Thrifty to Nifty post using this wreath? 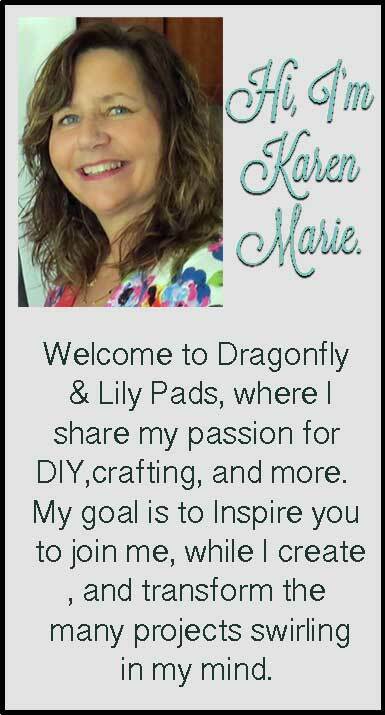 Be sure to visit my challenge blogger Cricut friends.